Remember going to the Show to see this and back then for all things considered meaning the sound was at best okay, but that being said it was mind blowing very cool at the time,that I had not been to an actual live show at the time. However that all changed one year later and I guess as we say the rest is history the movie was okay but a mere glimpse of what would actually be a brilliant live act. It’s a very cool to look back at again what would become the greatest Prog Rock Band Ever! Nice point Mark about Rick’s work on the keyboards my Father at the time had played for almost 30 years on accordion, piano,organ and was amazed when he heard this and asked me who that was he did not like any music that I liked at all but was really into Rick’s work I was amazed. It was the first time I had a chance to watch Steve and Chris just make these wonderful sounds from there guitars still amazed by them to this day. How cool would it be if they released the whole show you know it is placed some where because it would be gold for all the Yes fans just the whole show or anything, all on a blu-ray even I’m just in favor for anything they have archival, like the stuff from the beat club shows very cool, sound was not the best but to see them perform is amazing I believe. Entertaining reviews guys. Remember that this was AMAZING when it came out. For some fans it could have been the first time they saw the band live at all, on film or live. I bought the video from the USA and went out and bought a video player just to play this film. Cost me a fortune! I went to the Bolton cinema to watch the movie twice and even have the poster from outside the venue from that night. I love the film, we are very lucky to have this, I think all fans love this and appreciate it for exactly what it is. Its probably the film I have watched the most, it was on constant reply. Artwork. Roger is best for Yes because it adds such a lot to the music inside. However, GFTO was very fitting, 80s Yes, I think it worked as well. In 50 years think about it there arnt many bad album covers, well…. Yes Tormato!, I’d love to see it redone by Roger like the recent new covers. Mark, Moog is pronounced like mow-g, not moo-g! Very surprising to hear you mispronounce Moog at least 3 times, as a musician. Yes..Yes…..believe it or not. ..I’m aware of that…and I think I’ve been called out about it before. I guess it was just habit from all the times before….I’ll make note of it for next time. 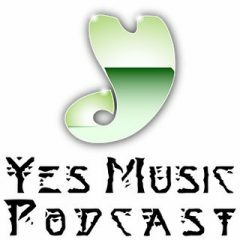 My history with Yessongs goes back to ’73, when it was the 1st Yes album I bought on vinyl. It’s still my favorite live Yes album, just stunning, regardless of the sound. I then saw the movie one afternoon in ’75 when it played in my hometown of Columbus, Ohio, at the long-gone University Flicks theater on the Ohio State University campus on High Street. I asked the manager if I could have the original movie poster that was on display. He couldn’t give me the display copy but gave me a 2nd copy that was in his office. 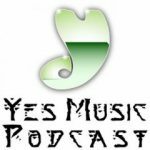 In about 2001 Roger Dean signed my Yessongs poster at NEARfest. My photo of Roger signing it can be seen in Jon Kirkman’s two Yes books, and I’ve posted the photo on the YMP Facebook page. I bought the 1st US videotape Yessongs release in the early 80s, which I still have. I then bought the 1st and 2nd US dvd releases, followed by the anniversary blu-ray version. Obviously, I’m a big fan of the movie, despite the darkness, the mono sound and the incomplete footage, because it’s Yes professionally filmed in ’72! Trivia for those who don’t know: Badger, with Tony Kaye, opened the Rainbow shows that became Yesssongs, the movie. Would have been to have seen Long Distance and The Fish. Must exist as part of the cutting room extras.